Claude Bell was born in Newby, Stokesley district in 1884. He was the son of Alexander Bell an agricultural labourer who was born in Newham and Elizabeth Alexander, born in Nunthorpe. Alexander and Elizabeth had married quite late in life in 1882, when Alexander was 42 years old and Elizabeth 30. Alexander’s father, also called Alexander, had been a farmer, farming 130 acres in Seamer in 1851, but had long since retired to Newby. Elizabeth had been housekeeper to her brother who was also a farmer in Newby, which is possibly how the couple became acquainted. Despite their ages, Alexander and Elizabeth had four children, and Claude had an older sister called Annie who was born in 1883 and two younger brothers, Francis (1888) and Alexander (1890). Sadly, Elizabeth, Claude’s mother, died in 1900, but the rest of the family were living together in Newby in 1901. Claude and Francis were both described as cattle men, although they were only 16 years and 13 years old respectively. Their father Alexander (61) was listed as an ‘ordinary agricultural labourer’. By the 1911 census the 2 younger brothers were living and working on Newham Hall Farm, Nunthorpe. Their sister Annie (28) was still in Newby looking after her 71 year old father, and Claude who shared the house with them was now described as a farm horseman. At this period all transport and haulage and much farm work (including ploughing) relied on horses and the men who looked after them, so Claude’s occupation would have been essential to agriculture and in all probability it would have seemed prestigious to his peers. According to the Book of Remembrance, Claude was still a farm worker when he enlisted into the Yorkshire Regiment. Official records confirm that he enlisted in Stokesley, and that at the time he still resided in Newby, Stokesley parish. 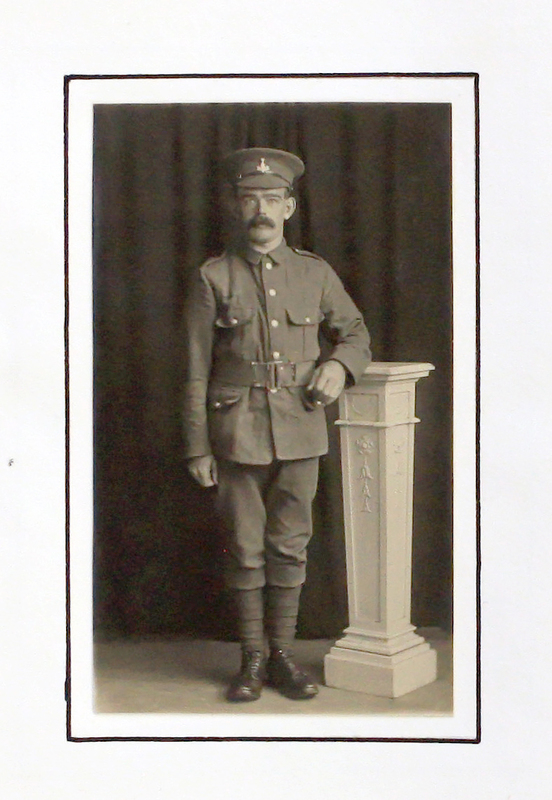 Private Bell was sent to France, where he arrived on 2nd October, 1915. 2nd Battalion were stationed on the Somme, holding a sector of the Ypres Salient to the south east of Albert. A series of German attacks were launched in the sector in the middle of February, 1916, in which they gained important ground and caused over 1200 Allied casualties. It was in the aftermath of this enemy action, and before they were driven back by a British counter-offensive, that Claude Bell died, on 25th February 1916. He was one of two brothers who served in the Great War. Private Bell was 31 years old when he fell. He was awarded the British War Medal and the Victory Medal as well as the 1915 Star. His body lies in plot O 18 of the Carnoy Military Cemetery in the Department of Somme. As well as being commemorated in Stokesley, the name of Claude Bell appears on the Newby War Memorial on the village green and also the Nunthorpe War Memorial. Go to next soldier: Burdon A.